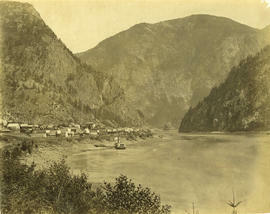 Fraser River near Yale, B.C. 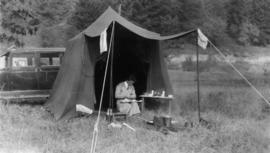 This postcard includes personal correspondence. 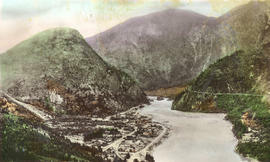 Sent to Mrs. Johnson of Vancouver, B.C. 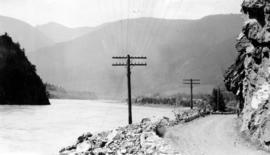 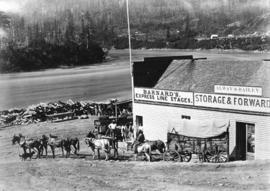 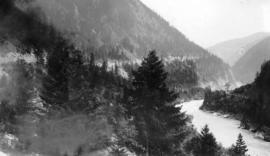 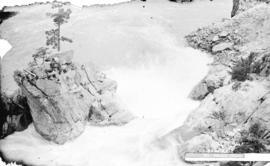 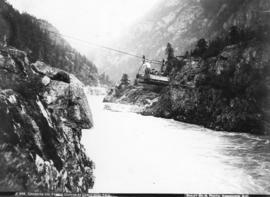 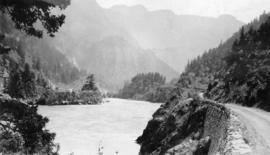 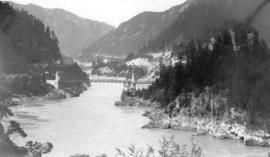 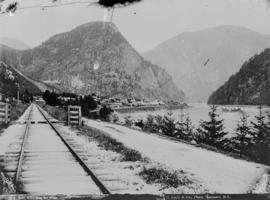 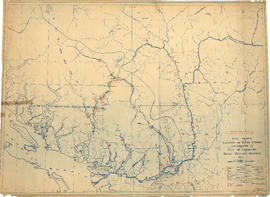 In The Fraser Canyon at Yale, B.C. 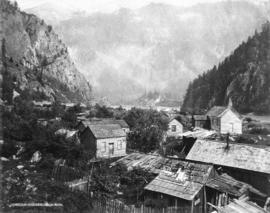 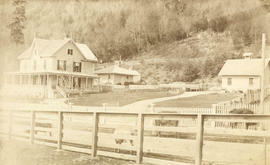 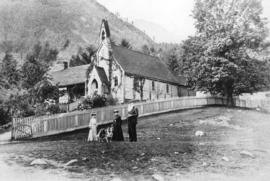 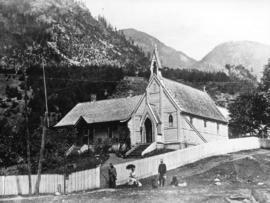 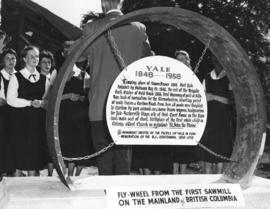 Indian Village - Yale, B.C. 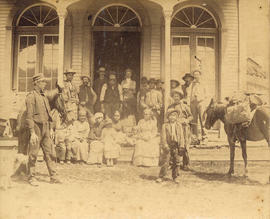 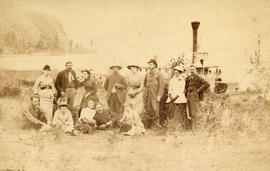 Item is a photograph showing First Nations men fishing on the shore of the Fraser River and the C.P.R. 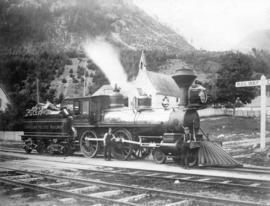 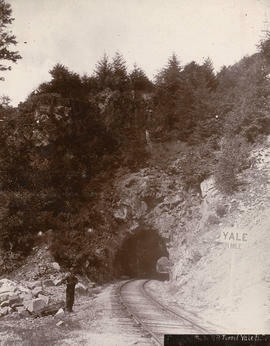 railroad and tunnel at Yale, B.C. 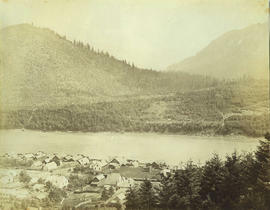 Looking back at Yale, B.C. 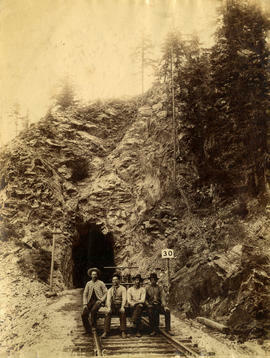 Tunnel No. 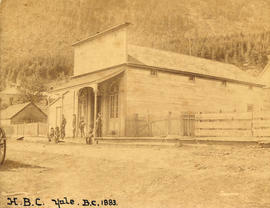 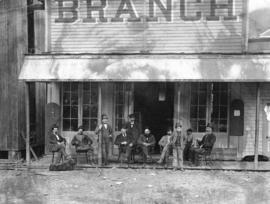 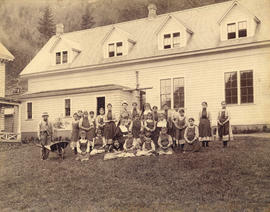 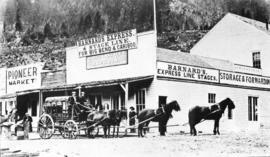 1, Yale, B.C. 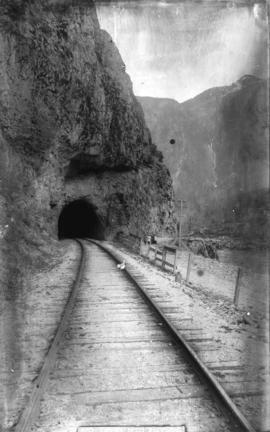 Photograph shows railway tracks leading into tunnel. 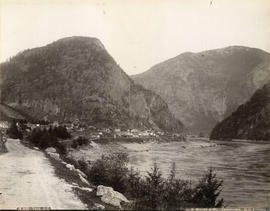 J.S. 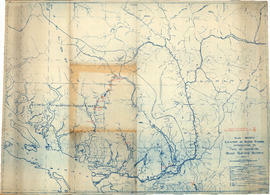 Matthews' notes with print or negative in Archives. 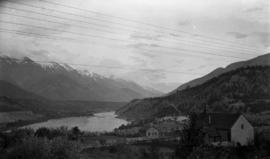 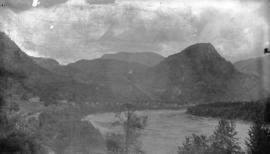 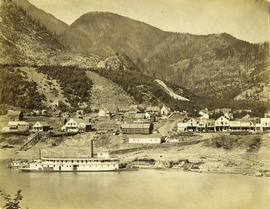 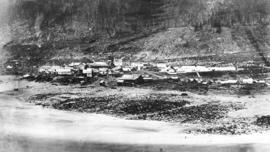 Photograph shows river, buildings, and hills. 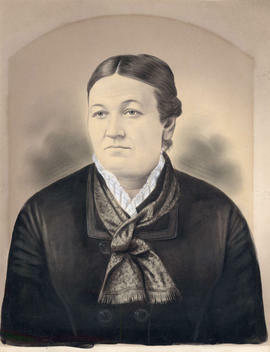 J.S. 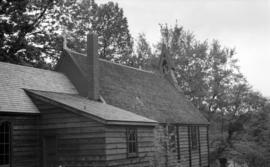 Matthews' notes with print or negative in Archives. 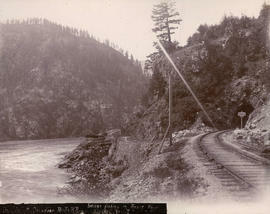 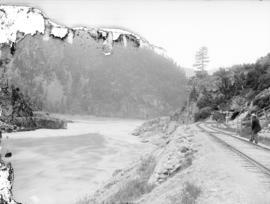 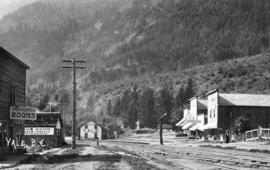 Photograph shows railway tracks leading to town next to river. 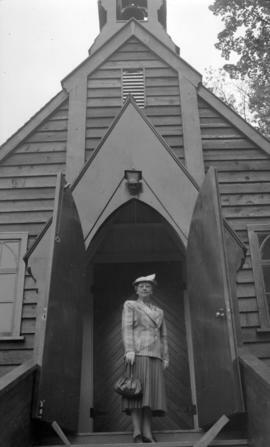 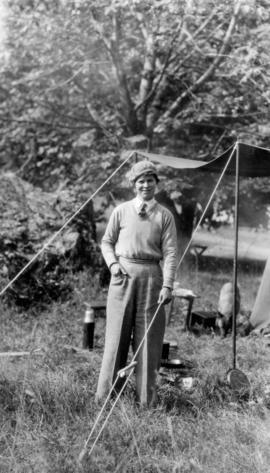 Men identified (left to right): Rev. 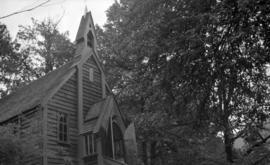 Harlock and Henery C.L. 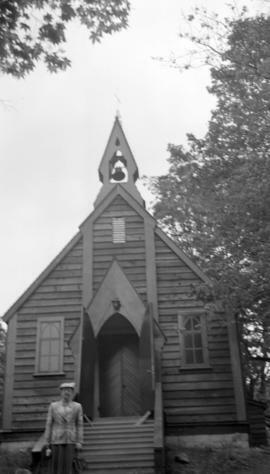 Ridley. 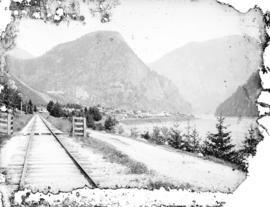 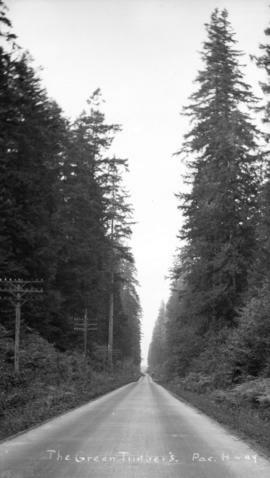 [Railway tracks approaching] Yale, B.C.